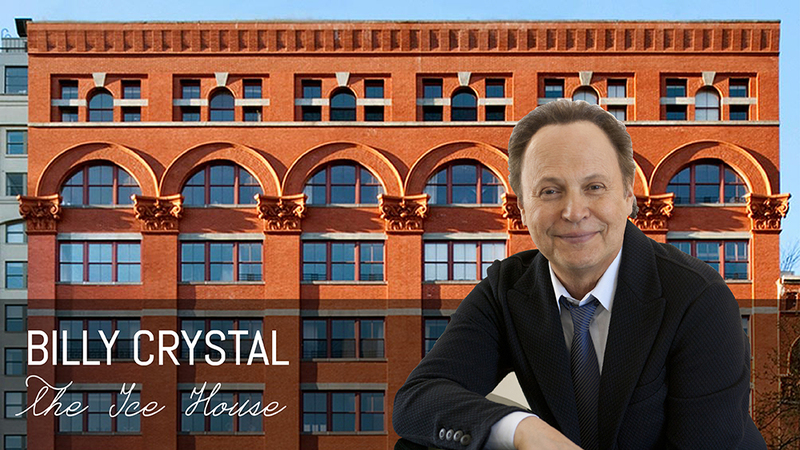 Billy Crystal’s Ice House penthouse at 27 North Moore has caused quite the hassle. 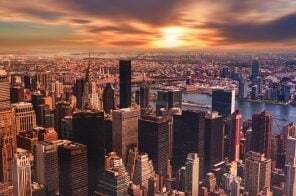 Much to the dismay of the American filmmaker and his high-profile neighbors, the residents of the luxury conversion were burdened with numerous issues, including buckling floors and plumbing problems. Attorney General Eliot Spitzer headed an $8 million dollar lawsuit citing 26 defects, which was eventually settled for the full amount. 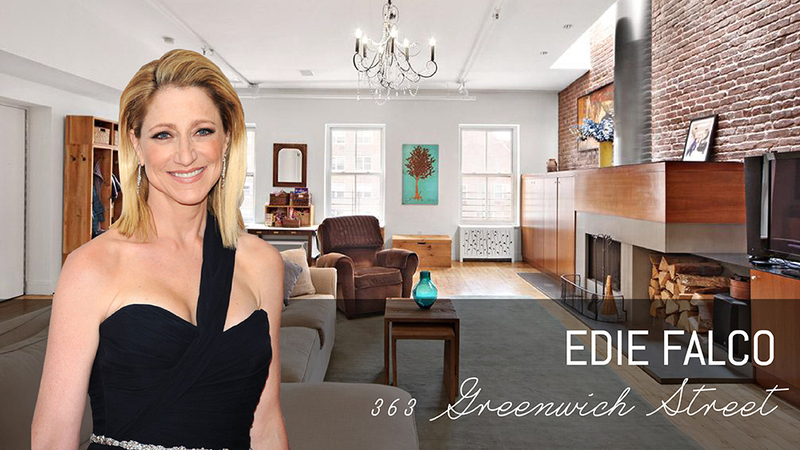 American television, film, and stage actress Edie Falco bought a quaint four-bedroom duplex condo at 363 Greenwich Street for $3.5 million in 2004. The 3,000-square-foot home includes three bathrooms and an additional 950 square feet of outdoor space divided between two private terraces. 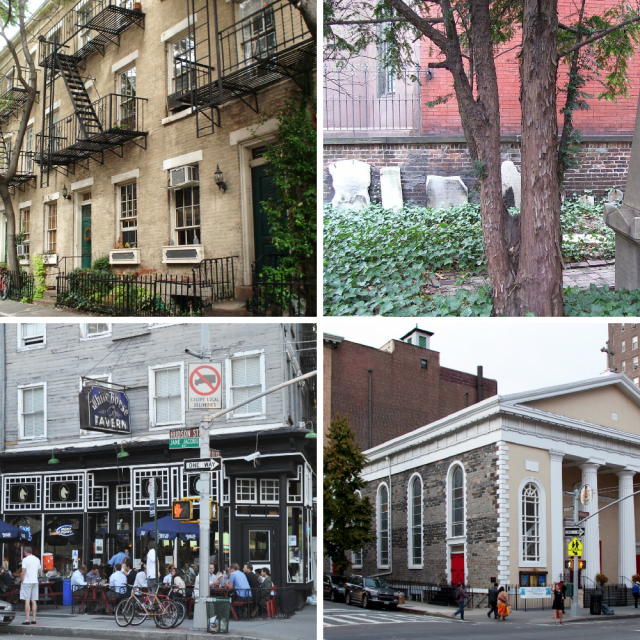 Unlike many of the surrounding luxury homes, 363 Greenwich Street does not have any building amenities. 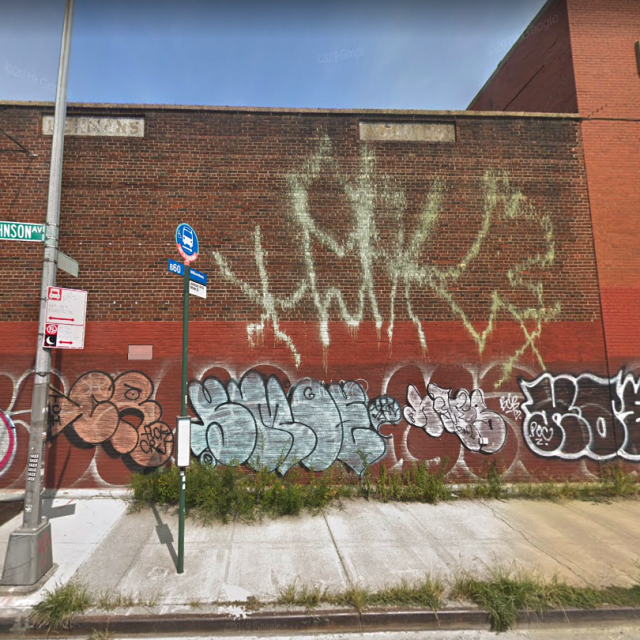 Falco currently has the space listed for $5.5 million. 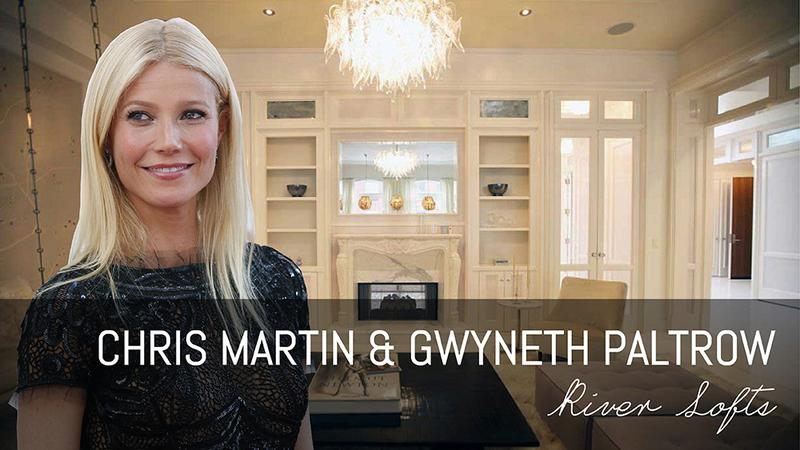 As previously reported, Gwyneth Paltrow and singer Chris Martin have owned two properties in Tribeca. 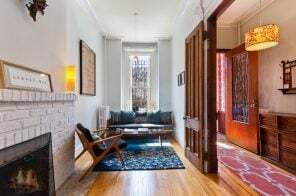 In 2005, they purchased an open loft in 13 Harrison Street for $7.95 million; a couple of years later, they sold the condo for $13.65, almost twice what they originally paid. 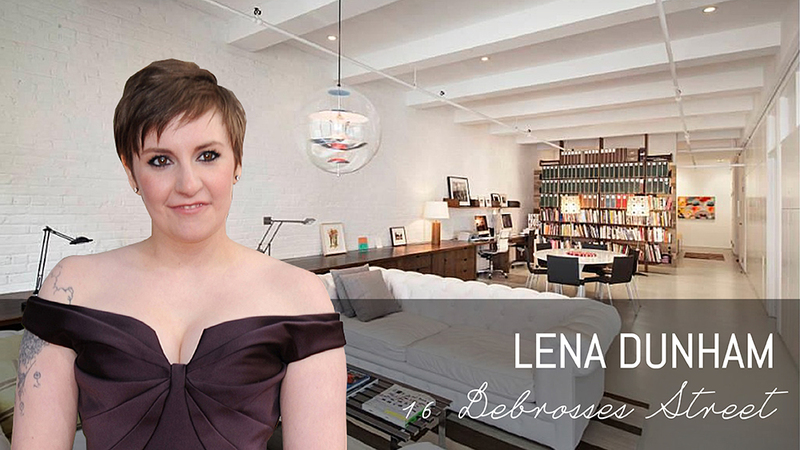 But the acclaimed actress and her then-husband still wanted a Tribeca address, so they downsized to a $5.1 million, 4,400-square-foot pied-a-terre penthouse at River Lofts in 2007. 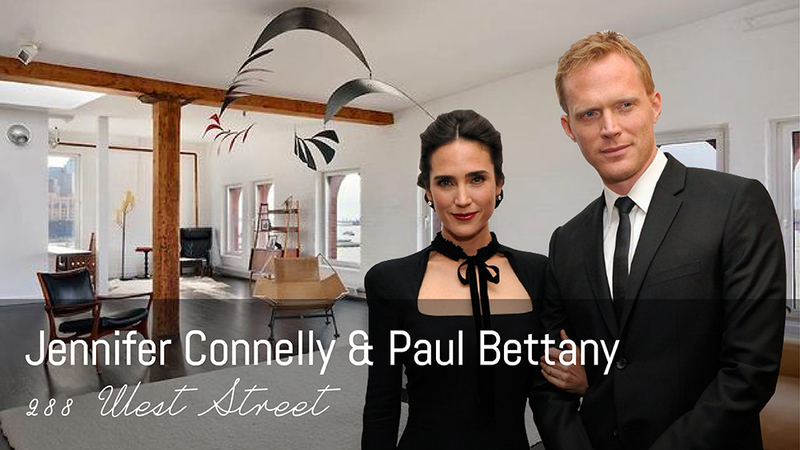 American film actress Jennifer Connelly and English actor Paul Bettany purchased the penthouse at 288 West Street for $6,995,000. 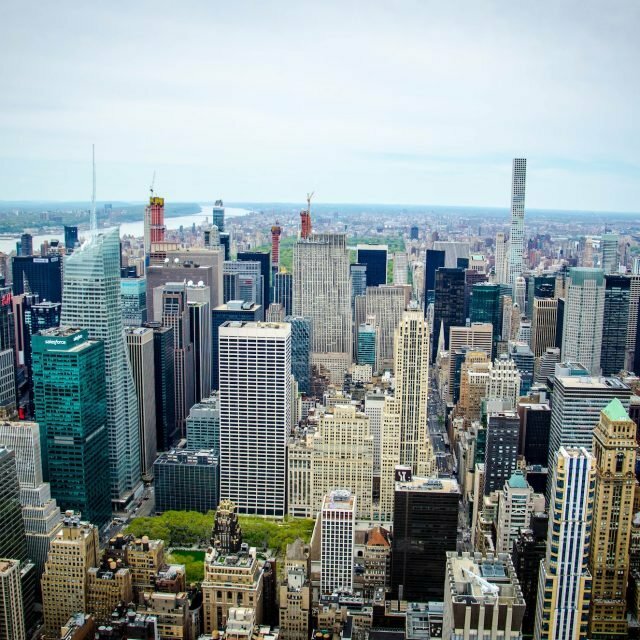 The 4,000-square-foot space included three bedrooms, a 45-foot wide living room, incredible views of the Hudson River, and 1,280 square feet of private outdoor space. 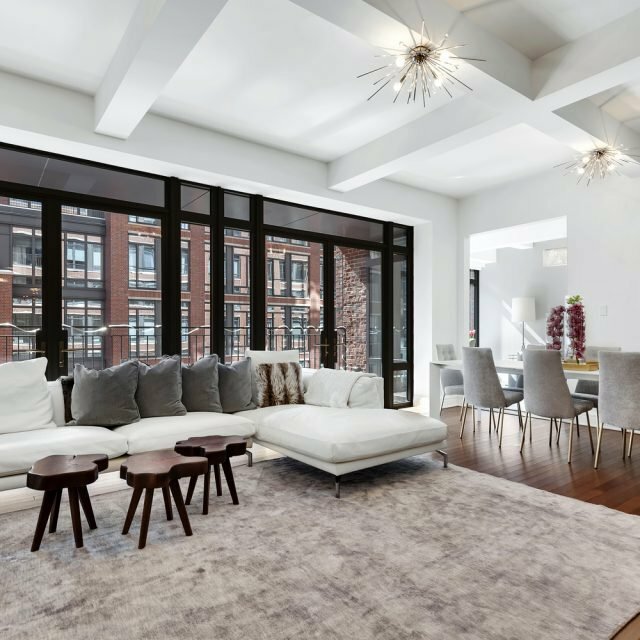 Four years later, the couple listed their home at $8,495,000; the co-op was sold in less than three months in 2012. 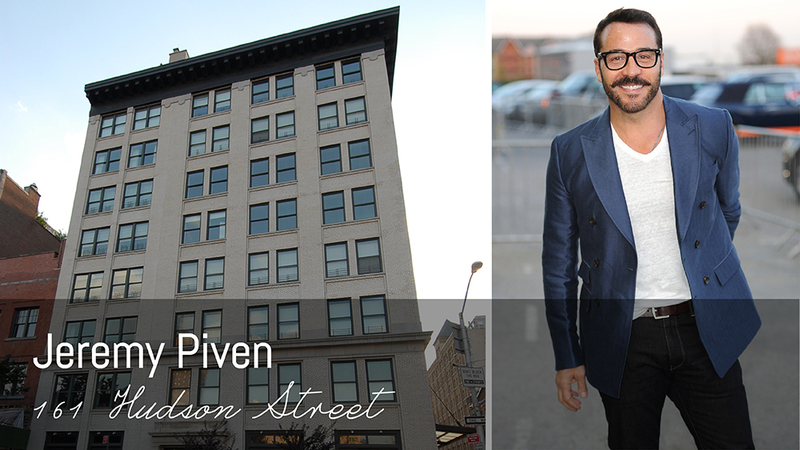 Actor and producer Jeremy Piven purchased retired Mets slugger Mike Piazza’s unit at 161 Hudson Street in 2011. Piven reportedly took out a $250,000 mortgage after paying $4.58 million. 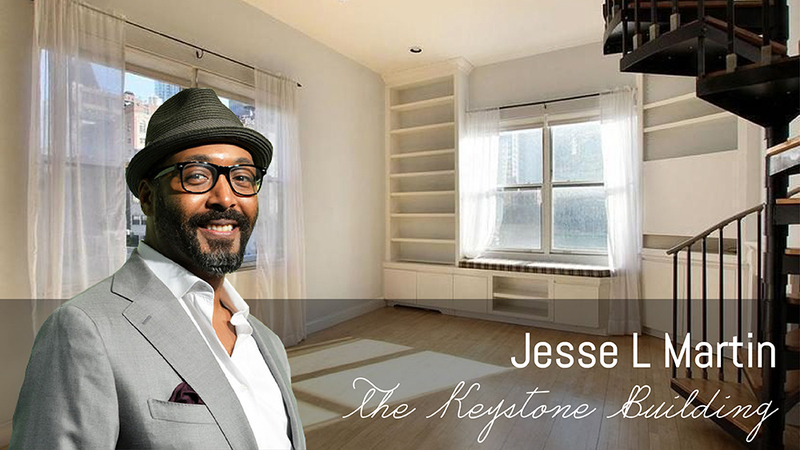 Actor and singer Jesse L Martin bought a south-facing duplex at The Keystone Building at 38 Warren Street in 2006. 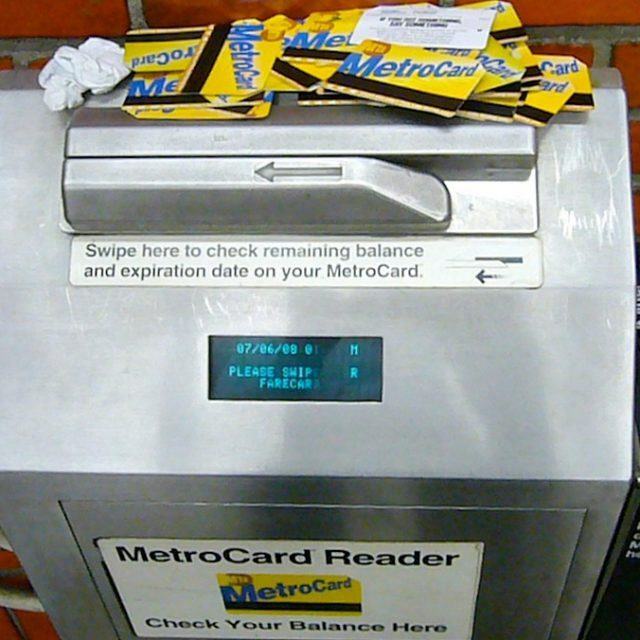 He successfully flipped his home for $2.1 million, a $200,000 profit, in 2013. 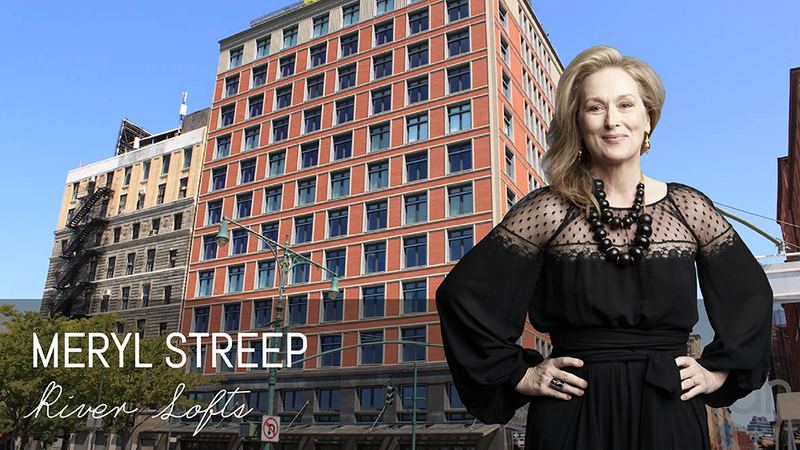 Three-time Academy Award winner Meryl Streep purchased a penthouse unit at the tower portion of 92 Laight Street in 2004 for $8.95 million. English actor Orlando Bloom was initially enticed by the Sugar Loaf Condominium at 155 Franklin Street when director Peter Jackson was living in its penthouse. 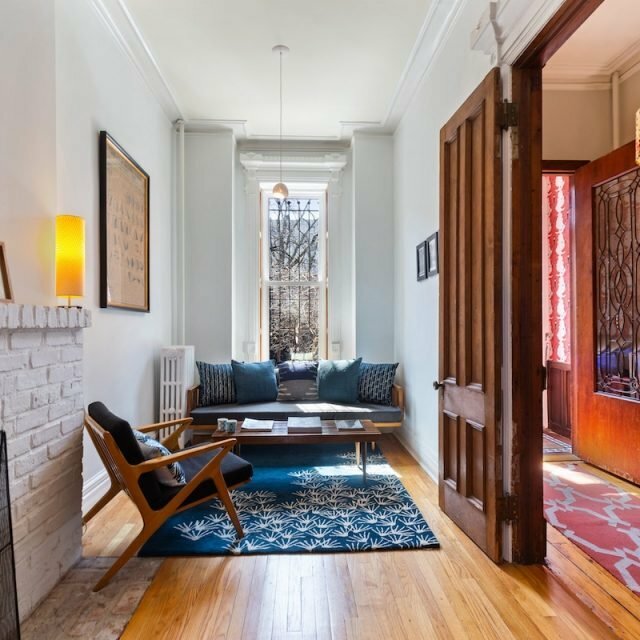 Bloom was particularly attracted to the prewar loft’s cast-iron columns, exposed brick walls, open chef’s kitchen, and wood-beamed ceilings. 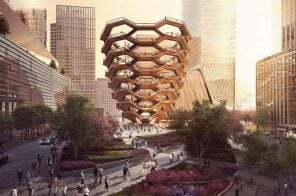 But after Taylor Swift and her A-list squad turned the 1882 converted warehouse into a paparazzi attraction, Bloom’s three-bedroom loft was quickly listed for $5.5 million just five months after he purchased it for $4.88 million; it sold after less than 30 days of being on the market. 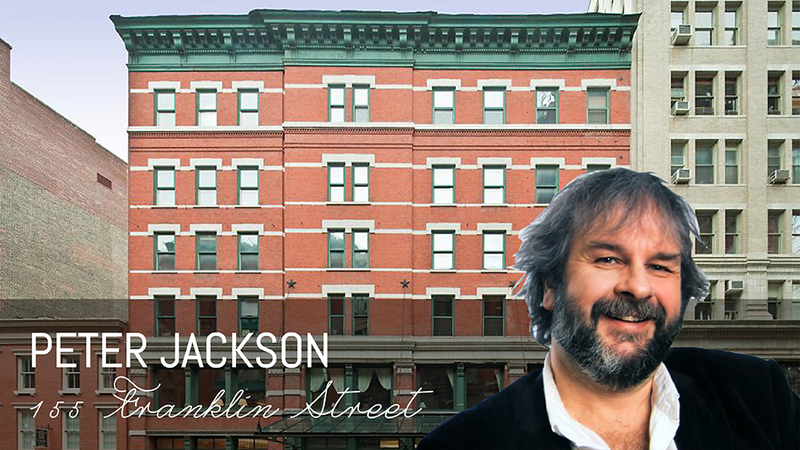 Director Peter Jackson bought neighboring penthouse duplexes at 155 Franklin Street in 2008. 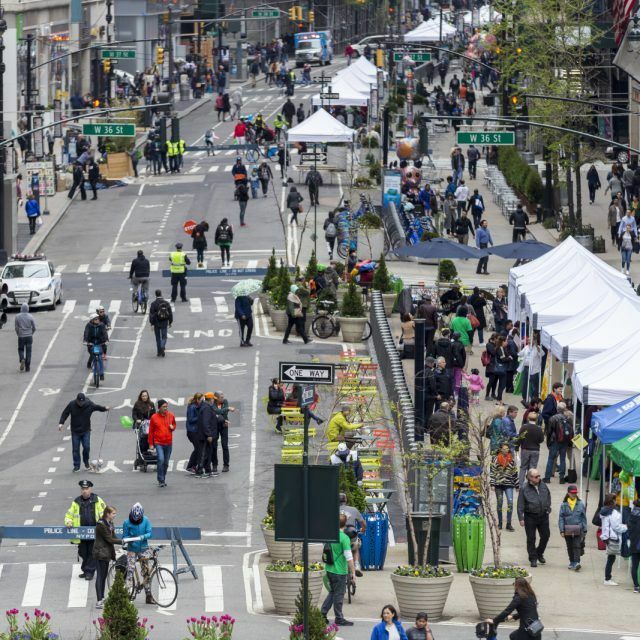 The two apartments have over 8,300 square feet of interior space and 4,000 square feet of exterior terrace space; the units were never combined. 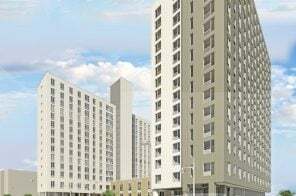 When Jackson re-listed them separately, singer-songwriter sensation Taylor Swift added both to her property portfolio for $19.95 million. 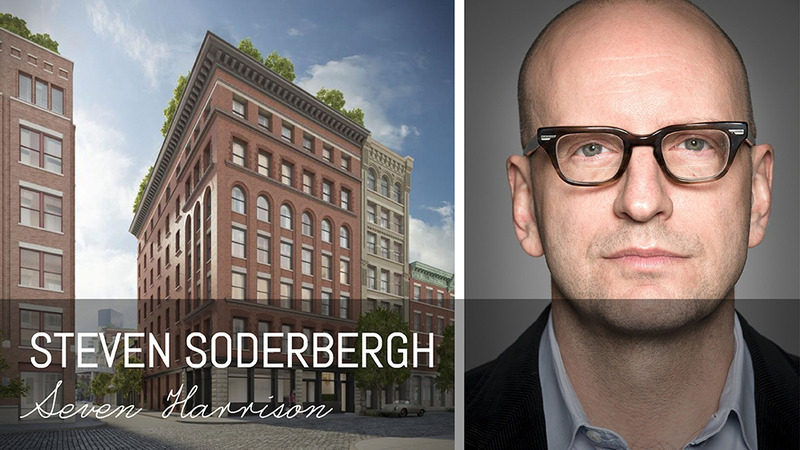 Film creator Steven Soderbergh briefly owned a condominium at 155 Franklin Street; it was purchased for $5.87 million, listed for $6 million, and sold for $5.52 million. 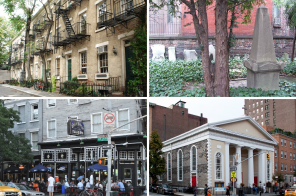 But he picked up a new condominium just down the street at 7 Harrison in February of this year. 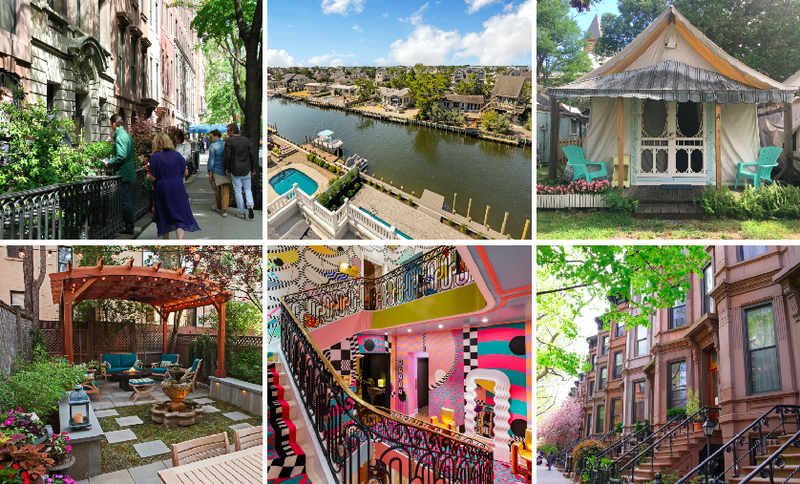 The new 3,100-square-foot property, known as the Atelier, was purchased for $8.34 million. 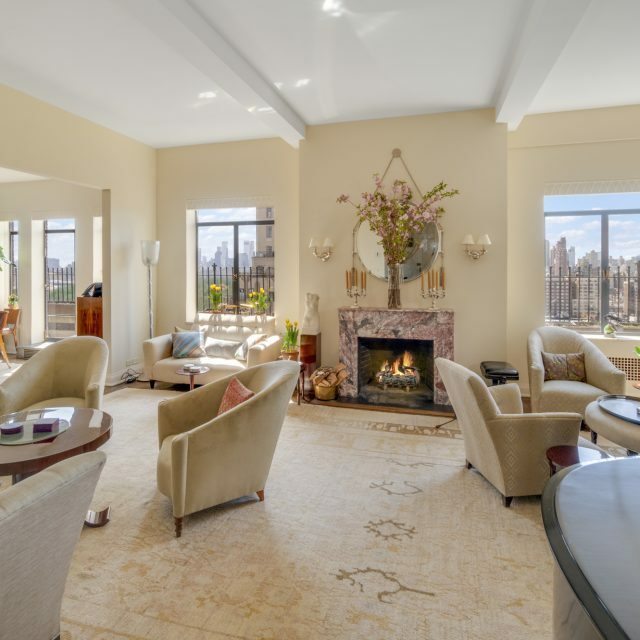 It features three bedrooms, a landscaped garden, a custom steel casement window wall by Bliss Nor Am, solid limestone mantel, opulent staircase with custom mahogany handrail, and barren walls fit for an art collector. 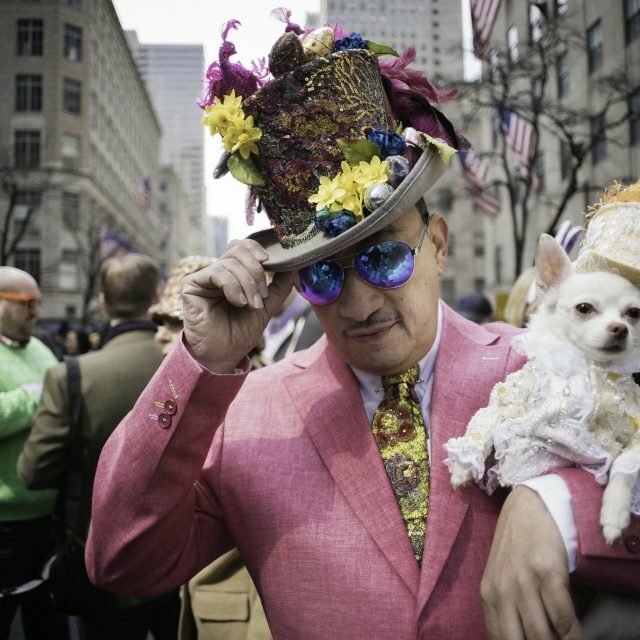 Actor/producer/restaurateur/real estate developer (are we forgetting anything? 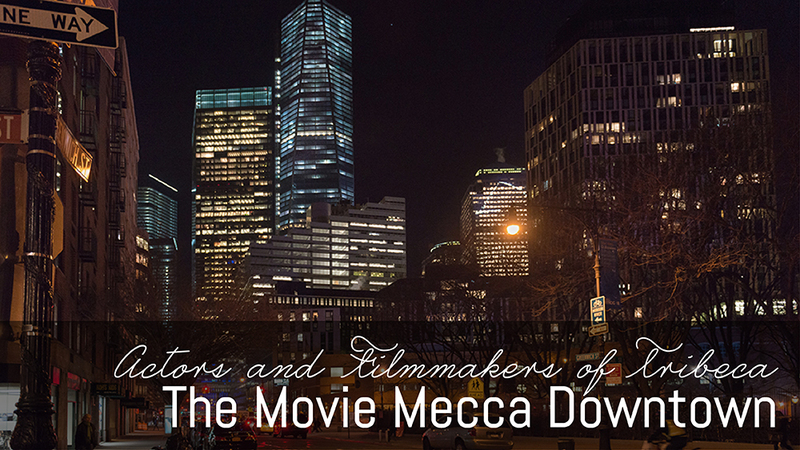 ), Robert De Niro is arguably one of Tribeca’s most prolific residents. 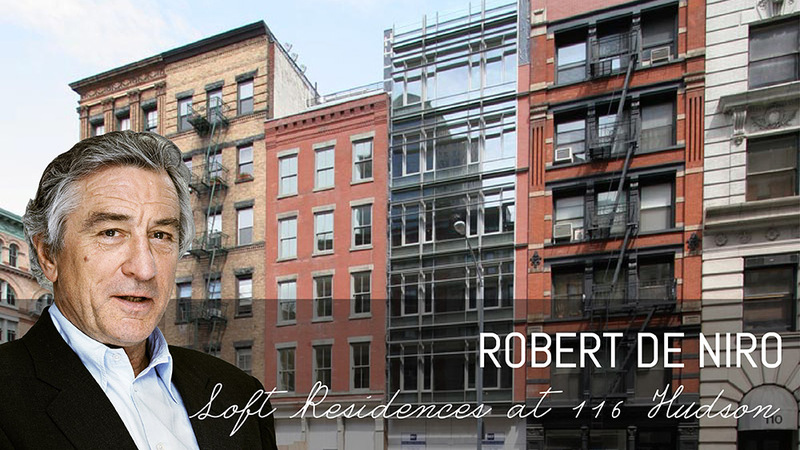 De Niro’s company Hudson Street Properties LLC partnered with AFC Realty Capital to transform the former Hudson Lounge (also operated by De Niro) into a chic mixed-use loft condominium known as Loft Residences on 116 Hudson. 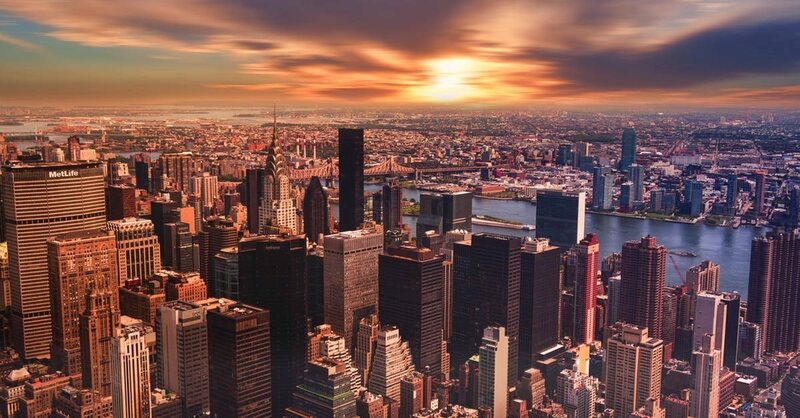 The $14 million dollar conversion was designed by BKSK Architects; elements such as the red-brick facade from the smaller building were preserved, while the newer portion of the building features a modern, all-glass facade. 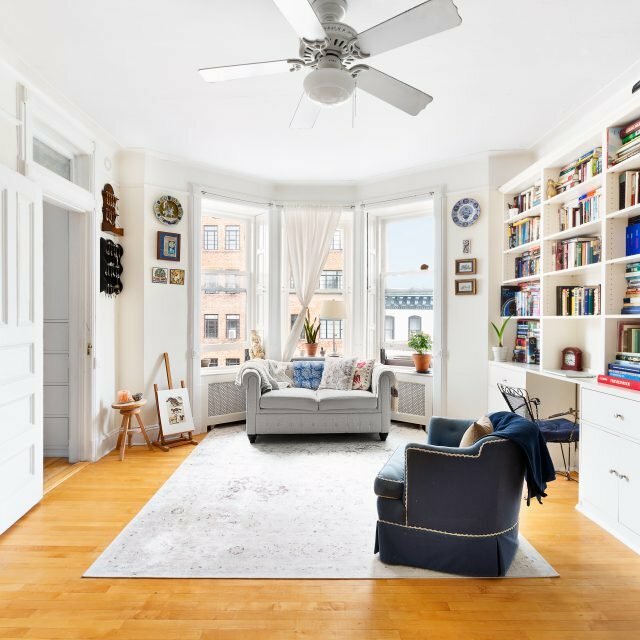 The Academy Award-winning actor has also bought and sold units just down the street at 110 Hudson Street, where he previously turned the ground floor space into the famed Tribeca Film Center.